I’M HERE! It feels good to be able to sit at my computer again with my feet on the ground. A couple of weeks ago I had surgery on both of my feet and I’ve had to keep them elevated. It made crafting pretty much impossible for awhile. But I have been able to play for the last few days. 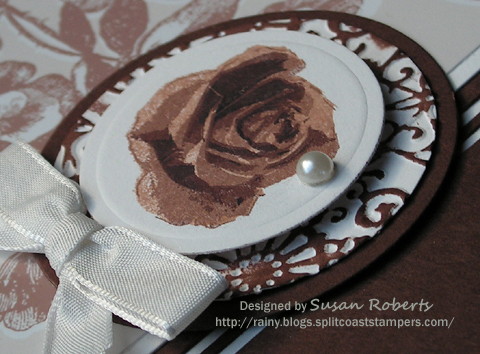 One of the things I made was this wedding card. 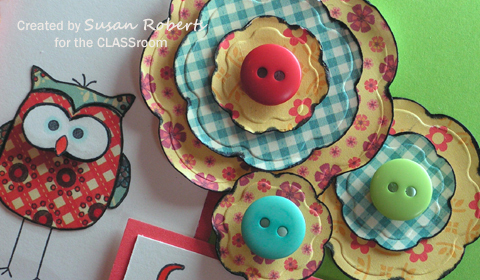 Part of the invitation was used to make it. I love doing this! It’s like getting free designer paper! The funny thing is is that I would have never put a pearl there. It’s so random, but I love it! I also want to express my deepest gratitude to those who have served in the Armed Forces. Thank you from the bottom of my heart. God bless you this Memorial Day. 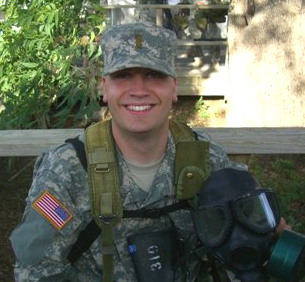 My son, Jeff, currently active duty with the Army National Guard Medical Team. 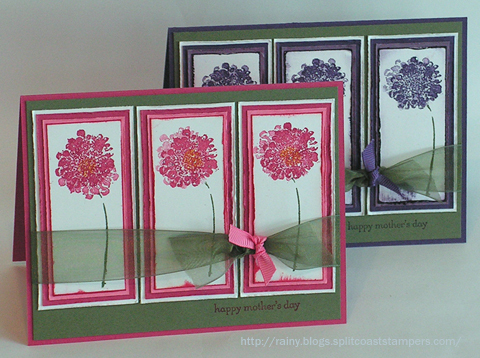 Here are the cards that I made for my DDIL’s for Mother’s Day. 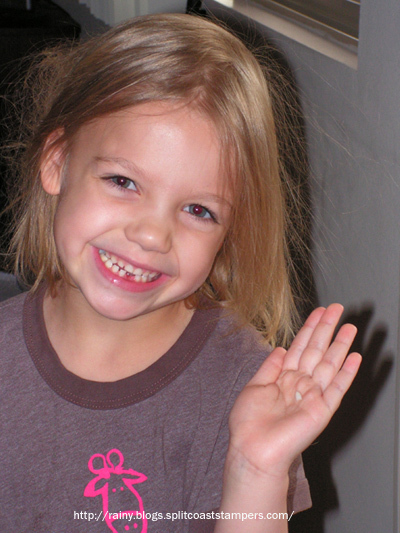 I am grateful for my daughters-in-law. They are both such wonderful mothers and beautiful women inside and out. My sons are so lucky to have found them. I love them both with all my heart. 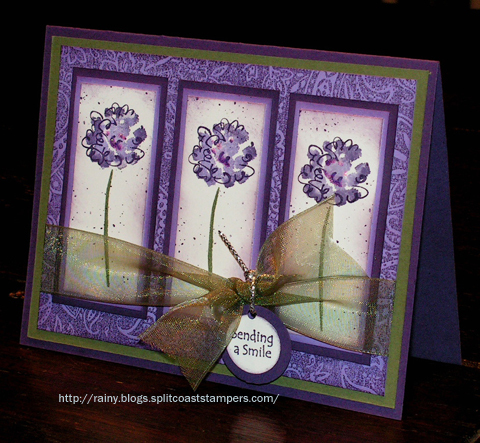 The flowers on both cards have been stamped twice. 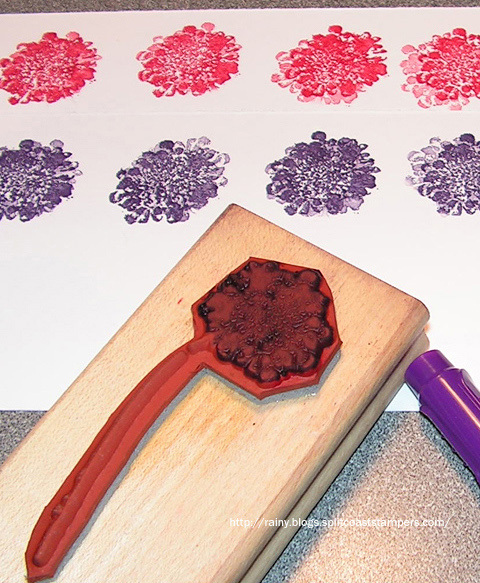 After coloring the stamp directly with a marker, a flower was stamped. Then I huffed* the stamp, turned it 90 to 180 degrees and stamped again. 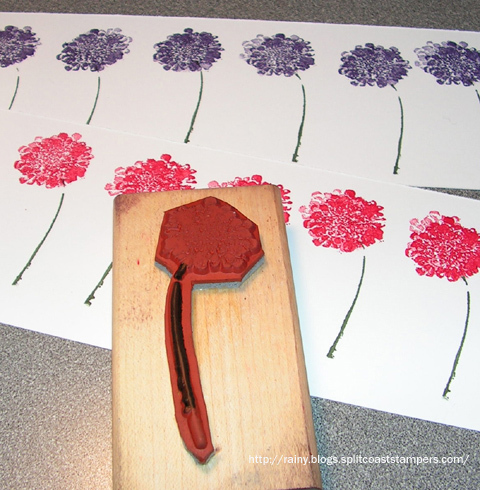 Stamping a second time without applying more ink results in the second image being lighter and adds depth and dimension to the flower. 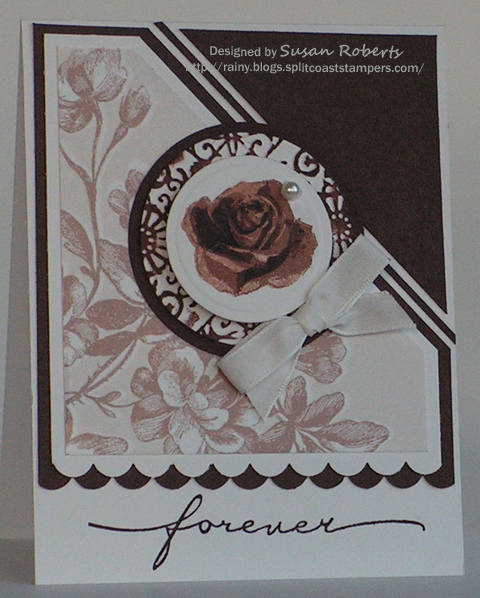 Because the stem on the flower was longer than I wanted, I only inked a portion of it before stamping. These cards are a CASE of a RAK that I received a few years back from epiphany. I loved her card! It is such a timeless and beautiful design. In fact this is the second time I have CASEd it. On the first CASE, I added a background stamp to one of the large panels. Both of my married sons live in the same city and this past week I flew south and visited with them. 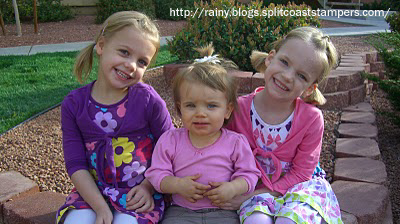 It was so nice to see my sweet granddaughters. I hope that all mothers and all those who mother have a wonderful day this Sunday. 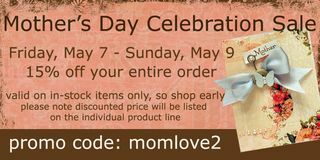 POST EDITED 5/7 TO ADD: Ellen Hutson is having a fabulous Mother’s Day Celebration Sale: May 7th-13th!! 15% off your entire order! Happy Mother’s Day from Ellen! 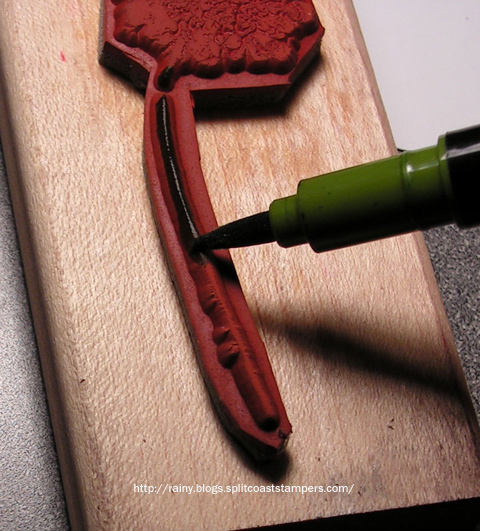 *Huffing a stamp is when you breathe on a stamp to re-moisten the ink with your breath.